When you buy from Beach Ford, you take home more than a great Ford car, truck, or SUV; you take home our Powertrains for Life Guarantee on top of qualifying manufacturer warranties! That means you get even more protection for your purchase. 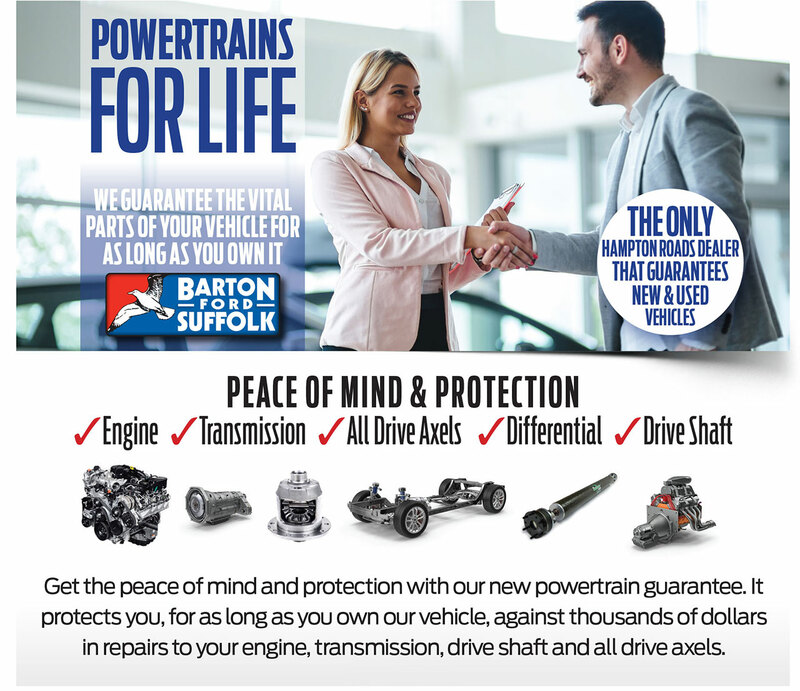 Our Powertrains For Life Guarantee comes with new and used vehicles bought from our dealership and last for as long as you own the vehicle. If you would like more information on the Powertrains for Life Guarantee program you may get in touch with us by phone at 888-320-2140 or through our online contact form. For a complete list of parts covered under the Beach Ford Powertrain For Life Guarantee, see our detailed warranty information, the image below or contact us. What is The Powertrain For Life Guarantee? Beach Ford Powertrains For Life Guarantee comes with new and used Fords that we sell. It’s alimited, non-manufacturer warranty, good at participating dealerships. This guarantee program comes at no additional cost to you. If you purchased a qualifying vehicle at Beach Ford after 3/7/19 you are covered for no extra charge. There is a $200 deductible for covered repairs at the time of repair, but no additional charge at the time of purchase. What if I move or leave VA? Our Powertrain For Life Guarantee program is good throughout the United States. In the event you have a covered loss, simply call the 800 number provided at vehicle purchase and help is on the way. Is there a deductible for repairs? Yes, there is a $200 deductible per covered event. Do the repairs have to be made at Beach Ford? 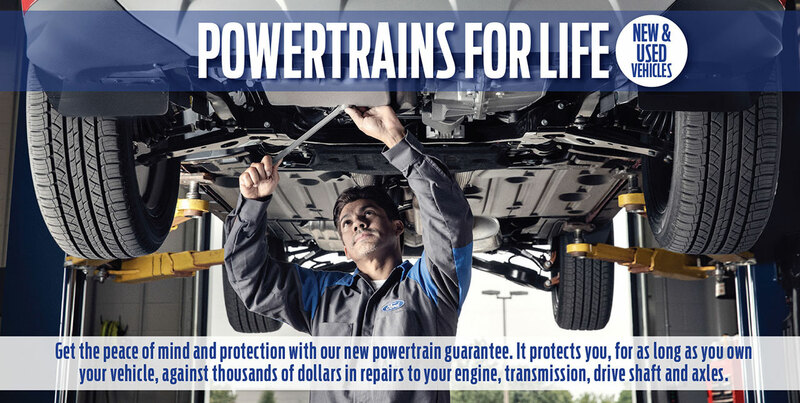 No, the Powertrain For Life Guarantee will cover repairs at any ASE certified repair shopnationwide with $200 deductible. The Powertrain For Life Guarantee is valid for as long as you own the vehicle - for an unlimited time, unlimited miles. If I sell the car does the Guarantee go with it? No. The Powertrain For Life Guarantee is non-transferable.